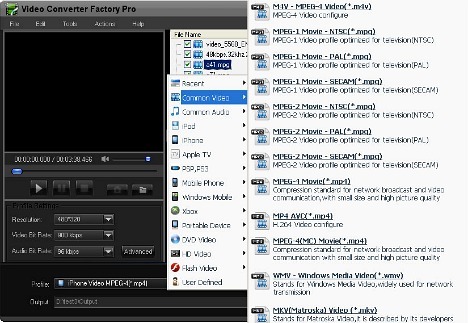 WonderFox Video Converter Factory Pro is a comprehensive video converting software from WonderFox Soft that provides video editing functions and video effects. WonderFox Video Converter Factory Pro comes with easy to use interface that able to control all the video functions at fast converting speed. In addition, Video Converter Factory Pro can transform virtually all frequently-used video files for popular video and audio players like iPhone, Zune, iPod, PSP, Archos, PS3, Xbox 360, Wii and so forth. With Video Converter Factory Pro, users can extract audio from video to MP3 music file and capture pictures from video to JPG.